English-language speakers have a fundamental problem when trying to discuss anything: Invariably, one word will be used to mean two, three, or four different things. Just ask your local weather forecaster what they mean by rain – do they mean drizzle, a thunderstorm, horizontal rain? When I head to work today, do I take a coat, umbrella, or life-raft? Seems the Eskimos had it right with their 50 words for snow. At least that way there’s no confusion. But when video game developer Turtle Rock announced that they were releasing DLC, you’d think there wouldn’t be any confusion. Sadly, that doesn’t seem to be the case. DLC, or DownLoadable Content, apparently doesn’t mean what it used to mean – and considering the word is only a few years old, that’s pretty impressive, even for the English language. While the Wikipedia page for ‘Downloadable content’ makes the effort to refer to Sega Genesis and Total Annihilation as having downloadable content, many people will immediately think of games like Halo 2 as the real progenitors of DLC. For a long time DLC was predominantly thought of as extra maps, storylines, missions, and so forth: “content” seemed to be the name of the game. Enter Turtle Rock and their phenomenally beautiful ‘Evolve’. On the flip-side, however, Evolve’s DLC will cost. All of a sudden, DLC has evolved (ha, get it?!) to include skins. I’m a League of Legends player, and for a free-to-play game, it’s certainly appeared on my bank statement fairly regularly. 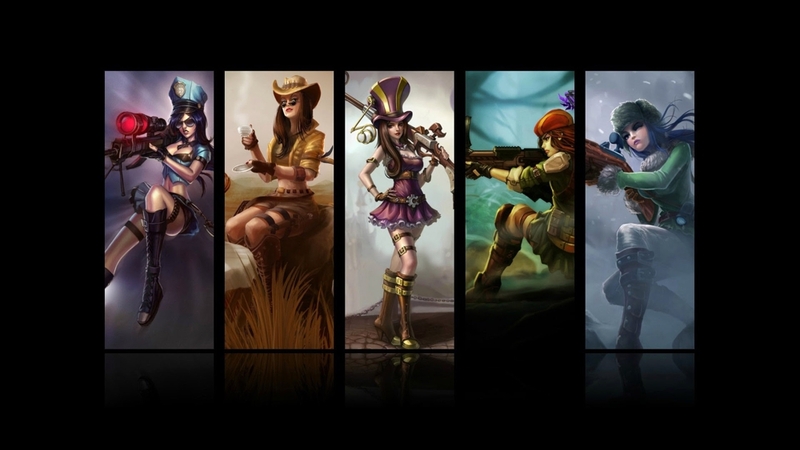 I have almost all of Caitlyn’s skins, as well as a few for Ahri and Orianna. I can’t quite explain why, except that … it’s better? But at no point did I consider myself investing in DLC. Making my particular character look different than normal doesn’t seem to me to count as DLC: There’s no “content”, just some superficial silliness – and I love it! I’m left asking one question, then: Just how much trouble could Turtle Rock Studios have avoided if they’d simply binned the phrase “DLC” from their press materials? Joshua S Hill — I’m a Christian, a nerd, a geek, and I believe that we’re pretty quickly directing planet-Earth into hell in a handbasket, which is why I write primarily for CleanTechnica.com! I also write for Fantasy Book Review (.co.uk), and can be found writing articles for a variety of other sites. Check me out at about.me/joshshill/ for more, or @JoshSHill on Twitter to be one of over 500 lucky followers! Fantastic piece, but I have some questions that I feel like would help clarify my understanding of it. Before that, however, I’ll set out my opinion. I don’t feel like video games have been around long enough to have set definitions. When we look at terms like roguelikes, and action RPGS, the terms have (at most) been around for twenty years. The roguelike definition has shifted from “a clone of Rogue” to “a game that features permadeath and random content generation”. The language of games is rapidly changing, and I think to demand that DLC sticks to meaning one thing is putting a lot of stress on an industry that is changing much too quicky to support that. I think that DLC has always meant “content that comes over internet connection, possibly at cost”, but that the industry has changed what content itself means. Whereas map packs and horse armour used to be additions, not expectations, now you struggle to find a first person shooter or CRPG that doesn’t launch with these things. You mention that for a long time DLC was thought of as “extra maps, storylines, missions, and so forth”, but I honestly don’t think that’s the case. I think the term DLC first appeared with Bethesda’s notorious horse armour update, and that’s definitely where I first heard it. My big question to you is, what is the difference between Evolve’s DLC and League of Legends’ skins? Is it simply that Evolve is a $60 game, whereas League is a free-to-play one? And I definitely agree that had they not stuck DLC into their press releases, they would have been much better off, at least during first day sales. Sorry, I forgot to add that I don’t think DLC has evolved to add skins to the meaning. Killing Floor has had skins for purchase since it’s release in 2009, and Guild Wars since 2005. We don’t really call it that, because honestly, skins aren’t content. But it’s still been a practice for a while. I think it was just a 2k exec thinking “YO, THE KIDS LOVE DLC. TELL THEM WE HAVE DLC”, and then nobody saying “This isn’t really DLC” back to him. In hindsight, I imagine it is probably a fault in my writing – conclusions have always been my weakest ability. I think that if Evolve’s developers had never used the word DLC, we wouldn’t be having a problem, because I don’t think that ‘skins’ (and such) are DLC. It’s not content (which was my argument), but rather customisation (which I do think is different to DLC). League of Legends’ skins aren’t called DLC, they’re “skins” – as it should be. For Evolve to include skins in their definition of DLC is confusing, and not what I believe DLC has come to mean – which, as I said, has to do with “content”. I think that’s where we agree. It was a really bad move by Turtle Rock (and probably more 2k) to call it DLC. I would still have a huge problem with Evolve selling DLC as it is, but I also don’t think that skins don’t count as DLC, just that League doesn’t call them that. Loads of games sell customisation stuff as bonuses, and I think that as long as it adds SOMETHING to the game, then it’s DLC. It’s an issue of semantics, really, and one that people are always going to disagree on. Alexandra Cata-Ross on TGI 213 – Throw Time In Front Of It!